Whether you want a resin bonded surface or a resin bound surface we are able to provide them. Resin bonded surfacing provides an attractive hard wearing low maintenance surface. 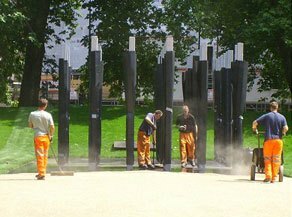 We cover the sub-base with resin and then apply the choice of aggregate (for example, natural gravel, flint, granite, quartz, crushed stone) to the resin giving a natural appearance of loose aggregate. Its an attractive alternative to tarmac, block paving or concrete. 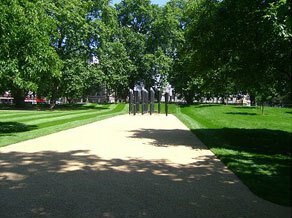 Resin bound surfacing uses a range of natural and recycled aggregates which are directly mixed with resins into a seamless bound paving system. Each particle of aggregate is fully coated with the clear resin before laying to a depth of approximately 15mm. This gives a smooth flexible surface which is resistant to cracking. Either system can be inlaid with contrasting colour borders and patterns.